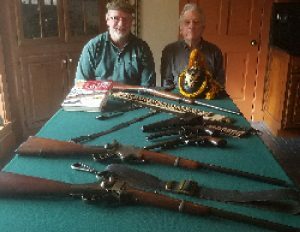 OSWEGO – Continental Arms Collectors Association will feature an exhibit at the Fort Ontario Conference on History and Archeology. 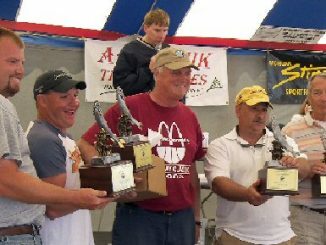 It will be held on March 30 at the Lake Ontario Event and Conference Center, 26 E. First St., Oswego. The exhibit includes a wide selection of U.S. Cavalry weapons and accoutrements issued during the Indian War. Assembling part of the display are Paul Lear, left, historic site manager, Fort Ontario and George Clark, president of CACA.